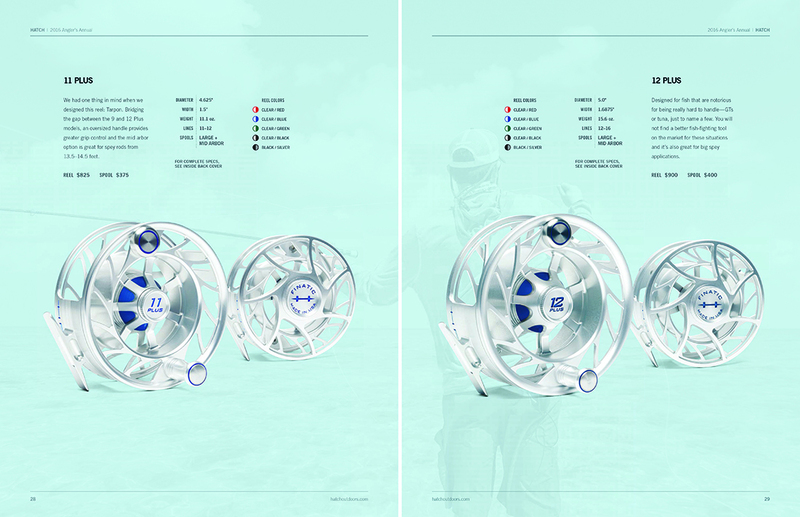 A few of our images made it into the recent Spring issue of Field & Stream Magazine. These photographs are from a great day on the river chasing smallmouth bass with Mike Schultz and his solid crew at Schultz Outfitters in Michigan. If you’ve never tossed a fly for smallmouth, we highly recommend it! It’s always a big surprise when you land a cover. I couldn’t be more happy to see this photo of Doug McKnight on the cover of the Hatch Outdoors Angler’s Annual catalog. The photo was created on a great trip in the Bahamas. While surprised by the cover, I am deeply humbled by words that accompany my photo essay written by my friend, John Torok — co-owner of Hatch. I am honored. It’s been a wonderful relationship with the Hatch crew over the years, and I certainly wouldn’t be doing what I am doing without their support. Thank you! 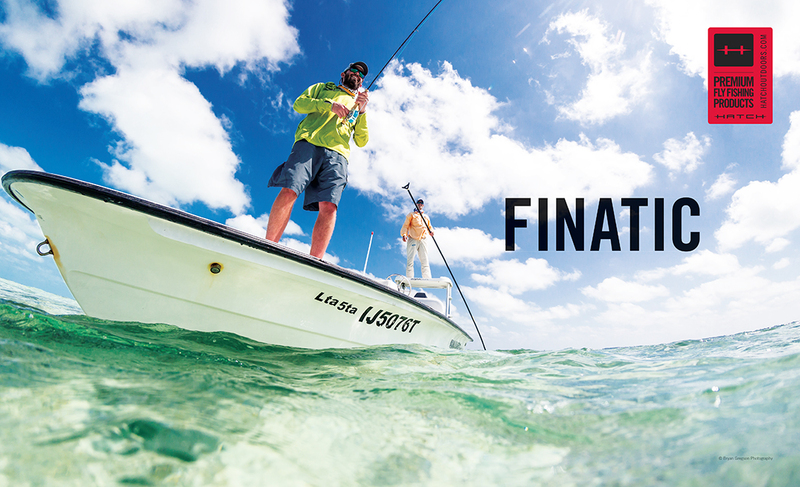 Check out the new line-up for 2018 and grab a copy of the Anglers Annual catalog. 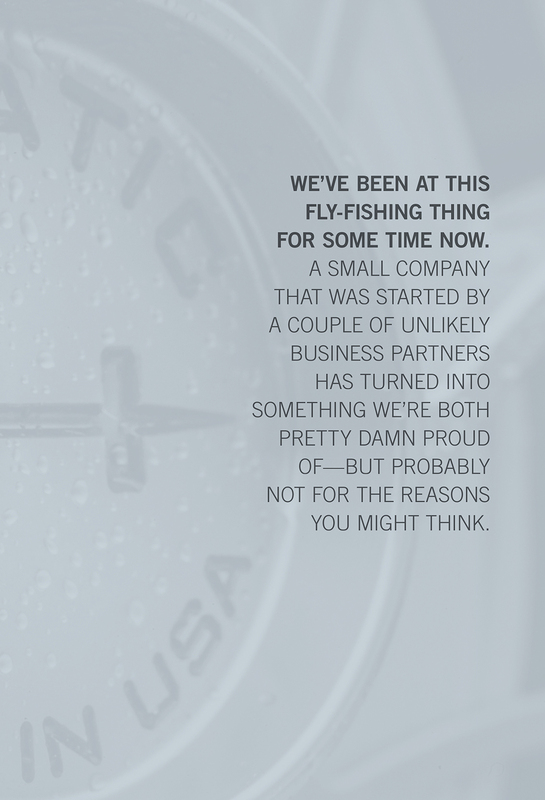 A few new Hatch Outdoors Ads have been surfacing this summer season, I’m happy to see that we landed one of them! I say this all the time, but its true, its always nice to actually hold the fruits of our labor in print. Getting great images in the field always take a team effort, always. This image was from a trip with Shaun lawson of Yellow Dog Flyfishing Adventures. We were at Miminiska Lodge in Ontario. On this day we were in the lake fishing for pike and walleye. 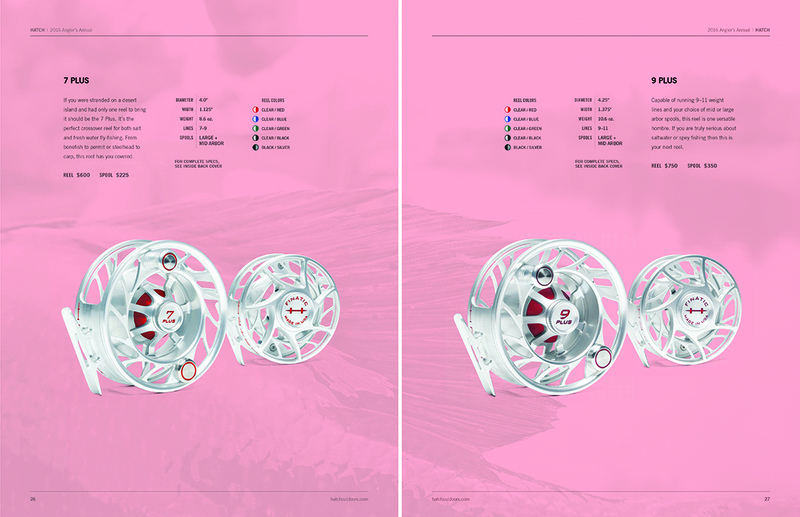 Big thanks to all the anglers, manufactures, lodges, staff, guides, logistics agents, etc, who helped with the process, these images wouldn’t be created without your help and continued support. Click the link to check out more products from Hatch Outdoors. Doug McKnight makes my job easy – he is always in the right place and the right time! This image was taken right after Doug had a banner day of permit fishing on the pancake flats of Honduras. Tis the season for snow and the joys of winter. We are happy to have our images accompanying this years Hatch Holiday Gift guide, a few website headers and winter ads. It seemed like only yesterday Zach Wheeler and I were fishing right out of our frozen snowy doorstep on the Henry’s Fork River in Yellowstone Caldera. I really enjoy the quiet and solitude winter fishing can bring and I also really enjoy those monster winter hatches when the stars align. 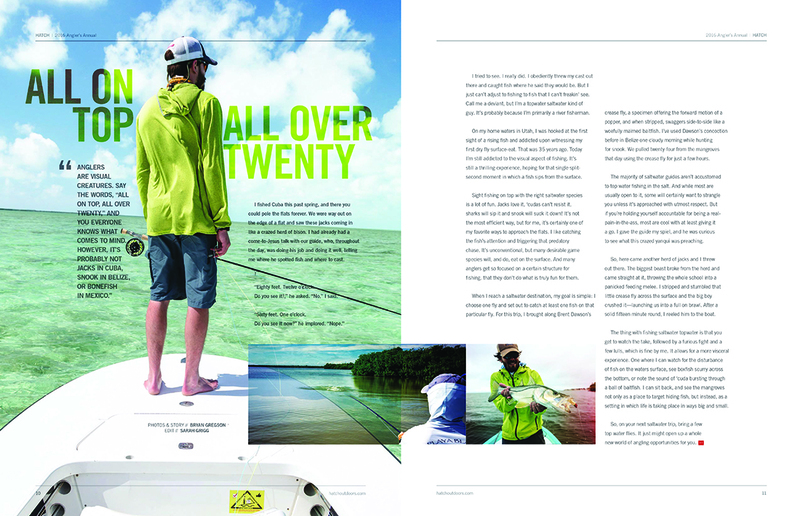 The new 2016 Hatch Angler’s Annual is hot off the press and is looking better than ever. 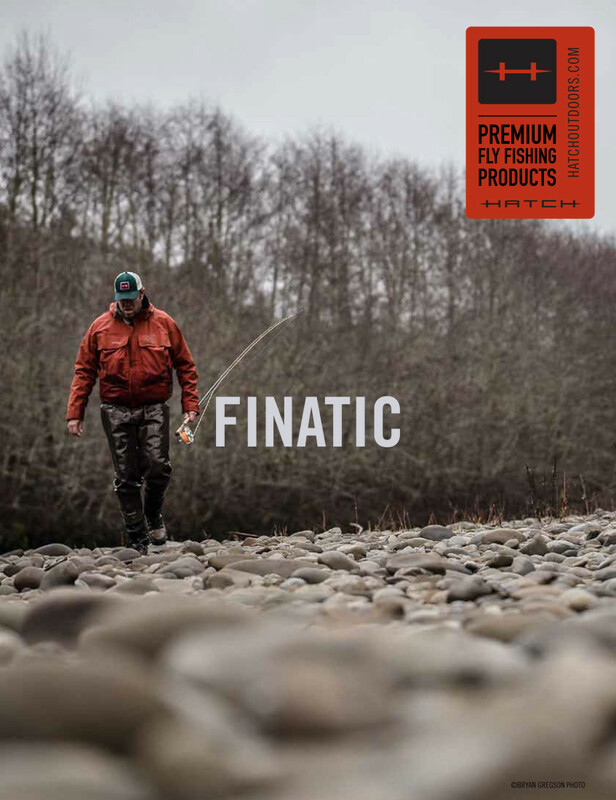 A huge thanks to all those that help make these images possible: friends, family, fellow photogs, guides, anglers, staff, transfer agents, translators, editors, pilots and taxi cab drivers. It really does take a great team to create great imagery and great content. 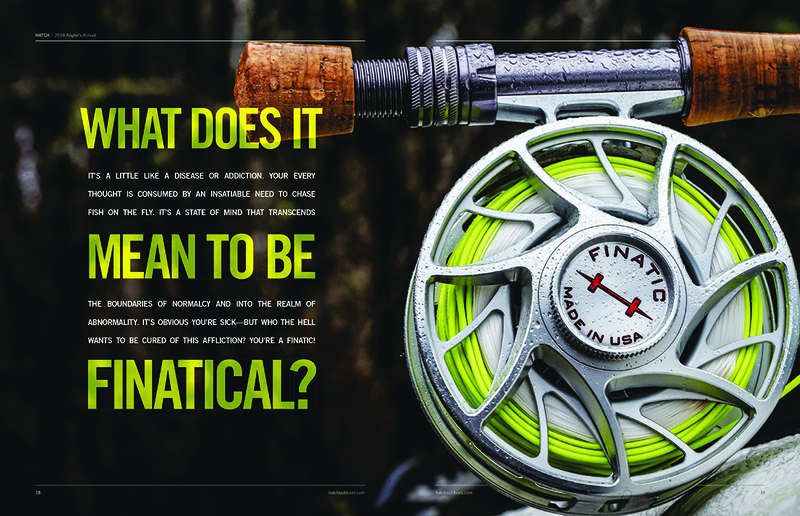 A new Hatch Outdoors Ad hits print in winter issue of the The FlyFish Journal. This image was created on the pristine flats of Cuba with Tom Melvin and Avalon fishing guide Keinlert… and of course a Hatch 7+ Plus. We got really lucky, and had great fishing for the shoot. And yes, real actual fish were actually caught for the creation of this shoot. It’s cold, its wet, its addicting! Shaun Lawson headed back to camp from swinging the big stick for saltwater rainbow trout.